Upgrades to 3 Rivers Webmail, Phishing Scams and more! Upgrades Coming To 3 Rivers Webmail! Is It OK To Let My Computer Sleep Instead Of Shutting It Down? Fall is famous for the spectacular changes that take place as leaves transform into fiery hues. So it's fitting that this November issue celebrates the power of change. It begins with a warning about phishing schemes—the details may change but you can spot the "red flag" in these types of emails and avoid getting scammed. Don't miss our Two to View section. It features inspiring videos about people linked to amazing changes. You'll also find ways to change how you save money, decorate your home, maintain your car, and more. Should you change a computer routine or setting? Keep reading for tips. Be on the lookout for a clever phishing scheme that uses email messages claiming to be from the Technical Support Team of your Webmail Messaging Center. The scheme's goal is to gain full access to your email account and be able to send spam posing as you. For example, the message may claim that your email address has been queued for deactivation as a result of a continuous error script. In order to resolve the problem, you're instructed to reset your email address by replying to the email and providing your current email address and password. According to the message, if you provide incorrect information or ignore the instructions, it will lead to the deactivation of your email address. DO NOT REPLY to emails of this type. Threats of account deactivation are a common "red flag" of phishing schemes that are used to try and frighten you into taking action. If you're ever unsure of the legitimacy of a message that claims to be regarding your email address, give us a call for assistance. 3 Rivers is excited to inform you about some big upgrades coming to 3 Rivers Webmail! When you log on to your 3rivers.net webmail account after November 16 you will see a new interface. The first thing you'll notice is that all of your existing folders and contacts will be there, plus there will be lots of new bells and whistles to enhance your email experience! You'll have access to a calendar, notes, to do list and more! After you've had a chance to check out the new additions, let us know what you think or if you have any questions. Note that these upgrades will take place automatically and will have no affect for those using Outlook or another email service. Called "Here's to the Crazy Ones," this 1997 Apple TV commercial was narrated by Steve Jobs but never aired. It celebrates those in history—from Albert Einstein to John Lennon to Amelia Earhart —who went out on a limb for innovation, progress, and change. Sarah Churman, 29 years old, was born deaf and recently heard for the first time thanks to a hearing implant. This touching video shows Sarah weeping with joy at the moment the device is turned on and then smiling and saying, "My laughter sounds loud." This Month's FAQ – Is It OK To Let My Computer Sleep Instead Of Shutting It Down? Question: If I'm not planning to use my computer for several hours, is it OK to use the computer's sleep mode rather than shut it down completely? Answer: Generally speaking, sleep mode is most efficient for both Macs and PCs. One of the primary advantages of using sleep mode is that you have easy access to your work when you "wake up" your computer, since you don't have to reopen applications as you do when you boot up the machine from being completely powered down. As an example, if you're through working for the day and put your computer to sleep and then remember an email you forgot to send, you can simply "wake up" the computer and use the email application that's already running. This process is much easier and faster than waiting for the computer to boot up and then reopening the application. In terms of energy use, sleep mode does use some power, but not much, and no battery power (assuming your computer is plugged in). Remember that fully shutting down and booting up your computer uses power too. There are times when you need to completely shut down your computer, such as when installing new hardware or software. It's also best to shut down completely in case of lightning storms or if you won't be using your computer for several days or more. But if your computer will be idle for just a few hours, sleep mode is fine. hip2save.com – Spending money may be fun but this site points out that saving is a whole lot more fun than overspending and dealing with debt. It's packed with ways to save including coupons, rebates, sweepstakes, freebies, online deals, and how-to videos. Use the coupon database to find deals on your favorite products or check out the guides for tips on how to save at popular stores. houzz.com – Browse through thousands of inspiring home photos and create your own ideabook to collect the looks you love. Locate photos by style, room, or metropolitan area. You'll also find an extensive section of products to help you reproduce the designs in your ideabook and a Q&A section where you can post decorating questions or answers. driverside.com – Use this comprehensive site to manage all aspects of owning your car including diagnosing problems, getting information on a new vehicle, and finding a mechanic. You can also sign up for reminders to keep up with regular maintenance and get help locating parts and accessories. Check out the car dictionary before you visit your local garage to prepare for the mechanic-speak! thekidshouldseethis.com – From delightful dance routines to cartoon creatures to athletic feats, this site features interesting and educational videos that the kids—and everyone else—should see. You'll find clips of space views, claymation, scientific research, music, toy tricks, and much more. Scroll through the recent posts or click "random post" to see what comes up. foodnetwork.com – How does Steamed Mahi Mahi With Vegetables and Garlic Mustard Sauce sound for dinner tonight? If you answered, "Expensive," think again. This recipe is just one of many on the Food Network's "Good Food for Less" webpage. Check out scrumptious-looking photos to find a recipe you want to try. Then print, save, or share it. The war on spam is best fought on multiple fronts, involving email administrators as well as end users. You can check with your Internet Service Provider (ISP) about the computer security services it has available. In addition, become familiar with the junk email filters/controls offered by your email client and make sure the settings are appropriate for your particular situation; you will have choices regarding what is identified as junk mail and where it is moved. Keep in mind that you also have the ability to select individual emails and make sender-specific junk mail rules as you go along. To adjust your overall junk email filters/controls, follow the steps below. 1. With Thunderbird open, click your cursor arrow on "Tools" located in the menu bar. 2. Select "Options..." from the resulting drop-down menu. 3. When the Options window opens, select the "Privacy" icon. 4. Here you can select your default junk mail settings. For more in-depth (account-specific) settings, select "Tools" from the menu bar, then select "Account Settings..."
5. When you have made your selection, click the "OK" button to save your changes and close the Options window. 1. With Mail open, click your cursor arrow on the Mail menu and select "Preferences" from the resulting drop-down menu. 2. When the Preferences window opens, click on the "Junk Mail" button. 3. Check the box next to "Enable junk mail filtering." You can also set other preferences including where junk mail is moved and what types of messages are exempt from junk mail filtering. 4. When you are finished, close the Preferences window. 1. 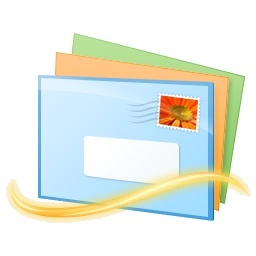 With Windows Live Mail open, click your cursor arrow on the down arrow underneath the "Junk" icon. 2. Select "Safety options..." from the resulting drop-down menu. 3. When the Safety Options window opens, make sure that the "Options" tab is selected. 4. Here you can choose the level of junk mail protection suitable for your individual needs. 5. When you have made your selection, click on the "Apply" button to save your changes and then the "OK" button to close the Safety Options window. ©2011 Cornerstone Publishing Group Inc.